The Joinery’s latest collection turns discarded plastic into enviable office accessories. Founded and run by sisters Natalie and Kim Ellis, The Joinery is a South African ethical fashion label created to provide an alternative to traditional, often hazardous methods of production. Established in 2012, it began as a dream to impact local communities through sustainable fashion and has since evolved into an enduring commitment to an environmentally and socially conscious approach to design. Their new “My Office” range, made from locally produced and sustainable fabric, is the embodiment of this attitude. For the Ellis sisters, the ethical and organic have always gone hand in hand. Focussed on methods of production that contribute to local community growth, partnerships with sewing co-operatives in local townships have served to further The Joinery’s ethical footprint. Using hemp fabrics and organic cottons wherever possible, they’ve also devoted much of their time to researching and creating their own sustainable fabrics. 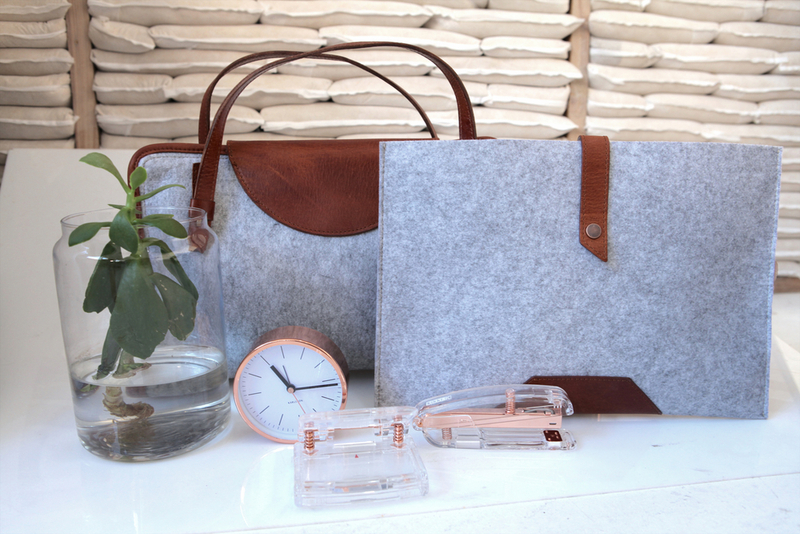 In conjunction with a South African-based industrial plastic recycling plant and polyester fibre manufacturer, The Joinery has conceptualised a fabric that looks similar to felt but is made from discarded plastic bottles collected around Cape Town. The salvaging of plastic bottles has created numerous job opportunities and provides a valuable source of income for informal plastic collectors. After working with their rPET fibre supplier and seeing the process of how polyethylene terephthalate (PET) chips from plastic bottles are turned into polyester fibre, Natalie and Kim were shocked at just how many of these bottles were discarded in landfills rather than recycled. It made them realise that the materials necessary for sustainable textile production were all around them, and that South Africa didn’t need to remain dependent on imports from other countries. 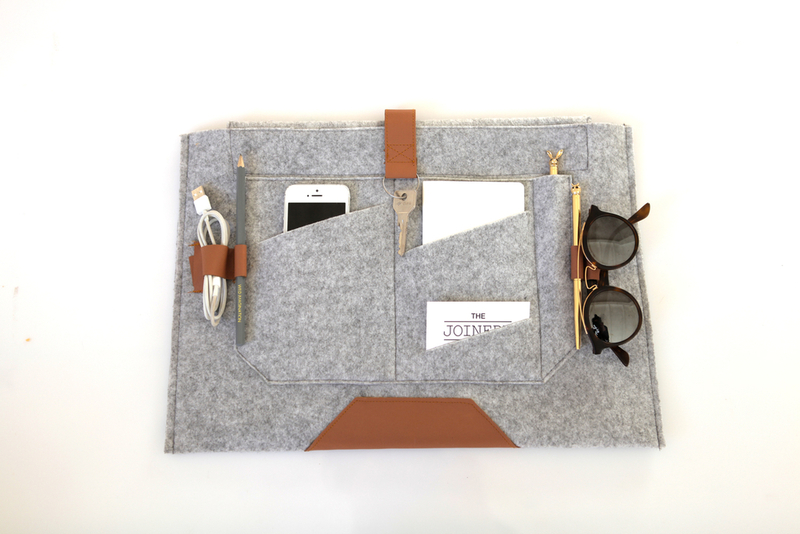 The new range of tech accessories called ‘My Office’ is the first from The Joinery to utilise this PET chip-derived, felt-like fabric. 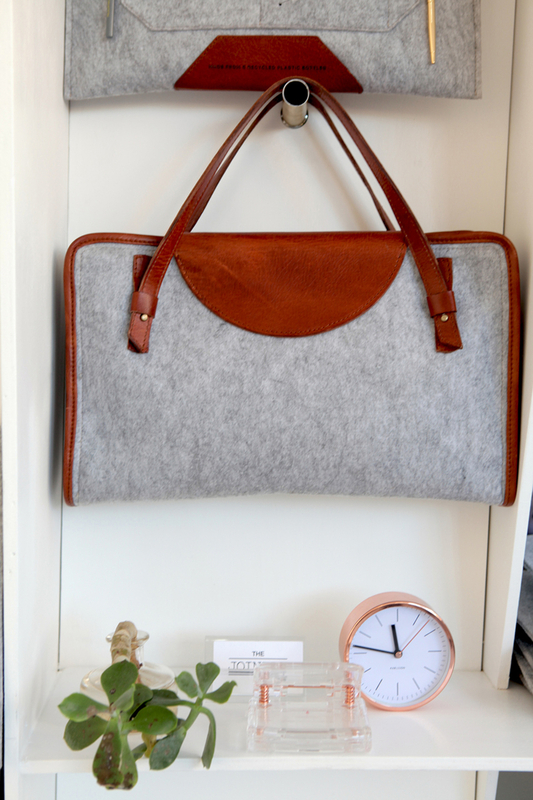 Handmade by local seamstresses and artisans, the range features a multi-purpose laptop sleeve made from the material of 5 recycled plastic bottles. 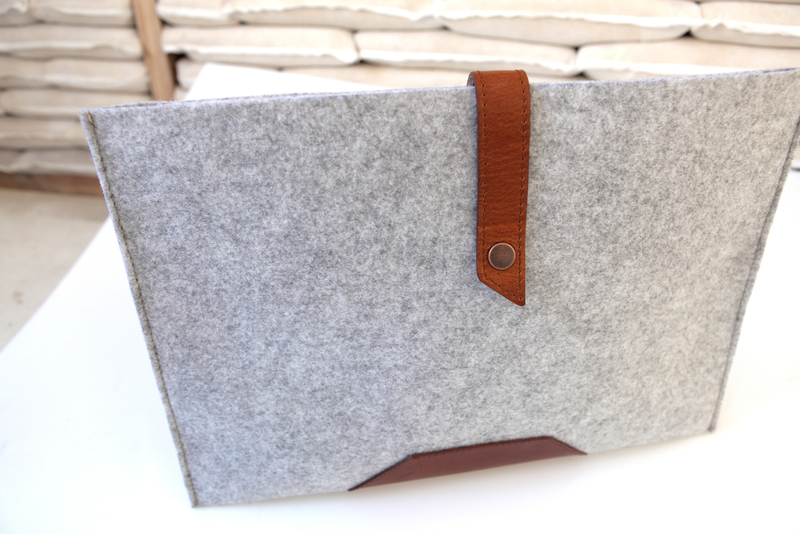 Laptop bags for Mac and PC users are also included in the collection, also made from the luxurious-looking, sustainable fabric. Next, The Joinery is working closely with their rPET fibre supplier to develop more lightweight fabrics made from PET chips that can be utilised in the production of their garment collections. Alumni of Design Indaba’s 2013 Emerging Creatives programme, the sisters hope their continued exploration of sustainable textiles will influence the rest of the South African fashion industry to do the same. Apply to be a 2017 Emerging Creative here.